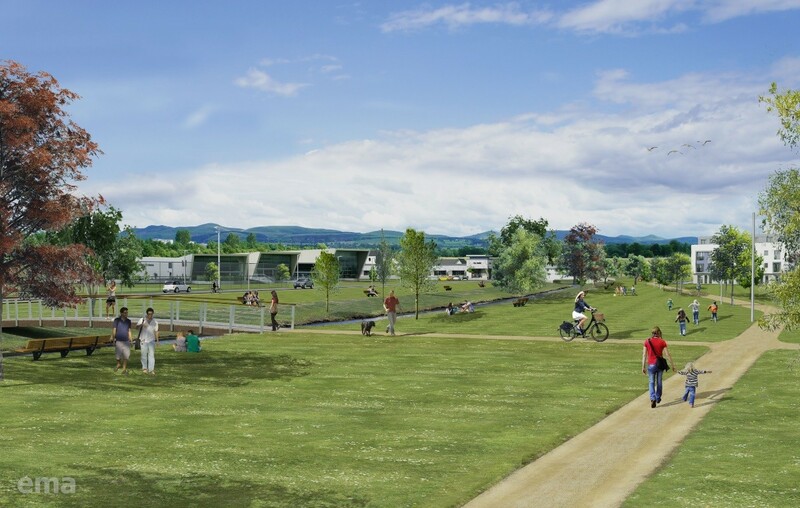 Edinburgh councillors have given their approval to a ‘garden District’ of 1,320 homes, a primary school, neighbourhood hub and park along the New Burn corridor. 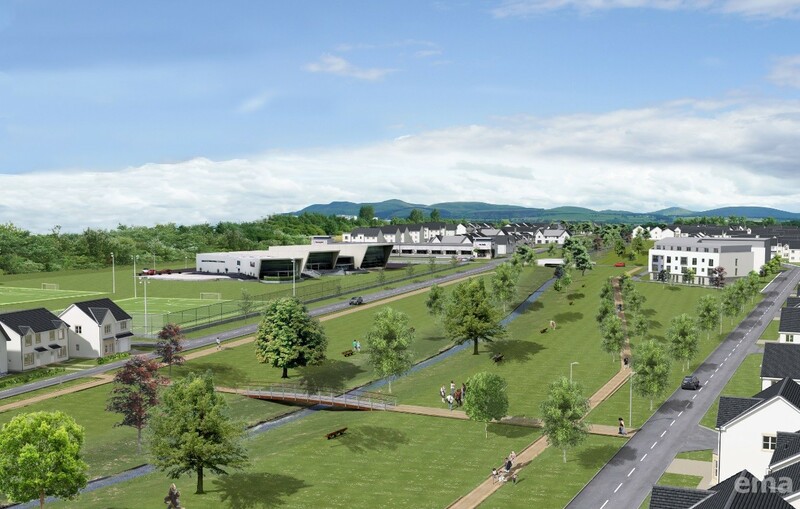 Situated close to Gogarburn and Edinburgh Park the EMA designed scheme is being built by Murray Estates on greenbelt land sandwiched between the city bypass and Gogar Station Road. Phase one of the project had originally been recommended for refusal by planners but this decision was overturned by councillors, potentially paving the way for up to 6,000 homes to be built on a 60 acre site. The scheme will now be referred to the Scottish government for final sign-off. At last. I have never understood why this well planned development with an emphasis on sustainable building has had to jump through so many hoops to get planning permission when bland lazy random housing estates in the south of the city have been waved through without question. 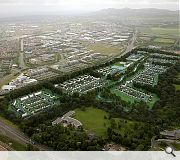 This has the potential to be a really attractive new suburb for Edinburgh. The absurd objections about lack of infrastructure were ridiculous. It is next to the tram line, the bypass, the Gyle bus terminal - it's even within spitting distance of the airport! The continual blocking of this rare example of a well planned suburb was more politically motivated than anything else. Good to see that at last common sense has prevailed. And no, I don't work for, or even know David Murray. Mmmm, not sure if this is actually much different or better than the lazy bland housing estates...certainly based on the images. Looks incredibly insipid. I'm with Philip on this, looks pretty bland. That aerial shot is giving off concentration camp vibes. "Garden District" ?! Why exactly is it a "garden district?" What that screams to me is enormously spaced out, bland, Barratt-style housing estate. 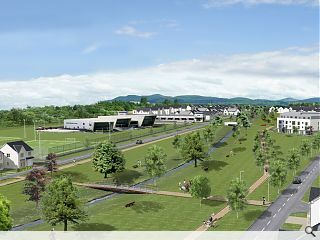 A school and a small shop will be thrown in for good measure and it'll all look like Livingston in a decades time. Truly depressing! Why is it not an urban, build up design fit for a city? Instead we get this suburbia-sprawlfest. At one point there was going to be a 'National Garden', hence (I'd assumed) the name. This seems to have been quietly dropped, leaving us with deeply uninspiring standard-issue low-density exurbia around a bland and tokenistic green corridor. EMA seem to specialise in this sort of barely-designed box-ticking 'masterplan', conveniently short enough on detail to leave the actual placemaking to the volume housebuilders. And we all know how successful they are at that. This is pretty dispiriting stuff for a European capital city. I hope the SG knock this one back. 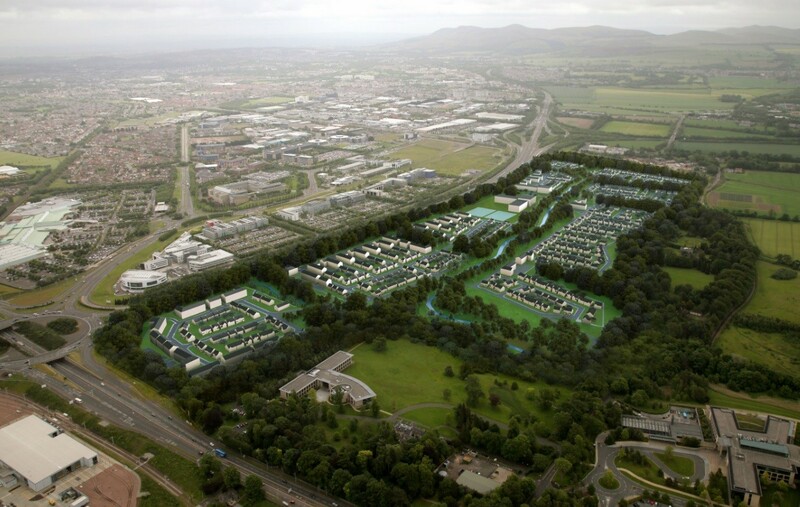 Business park style plot planning applied to volume house building. This is a bad idea. I have to admit the images above are NOT what the original Garden Designs looked like. How ironic then that this is what is finally been approved. I'd love to travel in a car with someone from this scheme, from Maybury Road to Hermiston Gate around 5pm tonight, and be regaled with their materplans on how this development will enhance accessibility to a place already suffering from daily gridlock. Whilst we're stuck in said traffic. fro over an hour. Then repeat the next day. 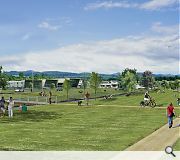 Then bring in the Murray Estates people doing the other development at the airport park and ride. I think it's fine. Get rid of the god awful white render and the houses are fine. Not going to win any awards but is every housing development going to be aesthetically stunningly? I would say we should always prioritise getting as much people living in or near the city centre as possible first then build outwards but if this is needed and it ends up looking like the images I think it's fine.